It’s always easy to forget the nice places home has to offer when you live abroad in the sunshine. As such, I was pleasantly reminded of one experience when I took a little trip back to England last week. 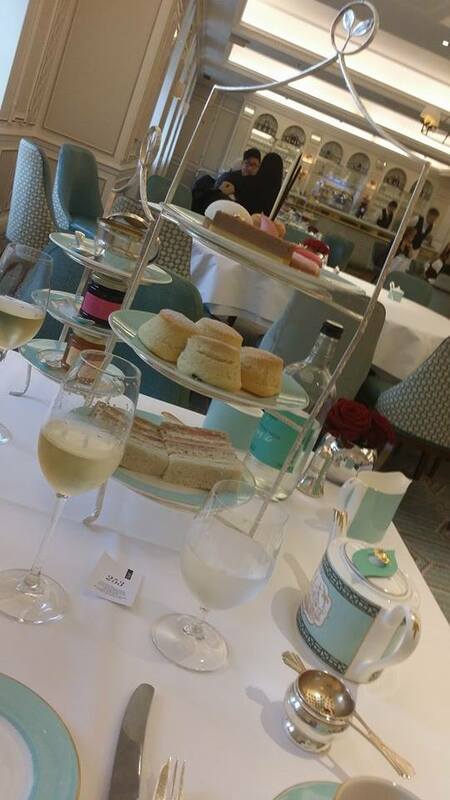 As part of my ongoing wedding celebrations – don’t worry this blog won’t turn into everything wedding now I’m engaged – my friend decided to take me to Fortnum and Masons for afternoon tea to celebrate. This is a place we used to frequent as students in our first year in London together. I know what you’re thinking, no we weren’t loaded, we just liked to go to pretend we’re slightly fancier than we are. Plus, for the few hours you’re there you get treated like a queen, and who wouldn’t want that? Anyway, being the end of October the Christmas decorations were displayed in full swing, so it was a great place for visiting whilst doing a spot of gift shopping too. After the shopping floors you climb the stairs to the Diamond Jubilee Tea Salon where you find sanctuary from the hustle and bustle of London tourists. Now yes, it is £35 per person for afternoon tea, excluding any extras like the champagne we ordered, but it’s a really good place to catch up in style. Not to mention it’s extremely British which is what I needed having been away from the county for the majority of the year. So if you fancy getting dressed up and going a little upmarket on your next London visit, with dainty sandwiches and jam and scones galore, reserve yourself a table. It’s completely worth it for a spread like this!